The Pennsylvania Department of Health, the Pennsylvania Athletic Trainers’ Society (PATS), the Pennsylvania Medical Society, and Sports Safety International have teamed up to develop an online, up-to-date educational training program focused in the evaluation and management of concussions. Further, physicians who complete the course can be added to a “Recognition Database” that is searchable so that the public can easily find a local physician trained in the most up-to-date training in the evaluation and management of concussions. In 2011, the Safety in Youth Sports Act (Pennsylvania’s Concussion law) passed and officially began on July 1, 2012. In the Act, language was included for an “appropriate medical professional” trained in the evaluation and management of concussions; however, no specific requirements were delineated. 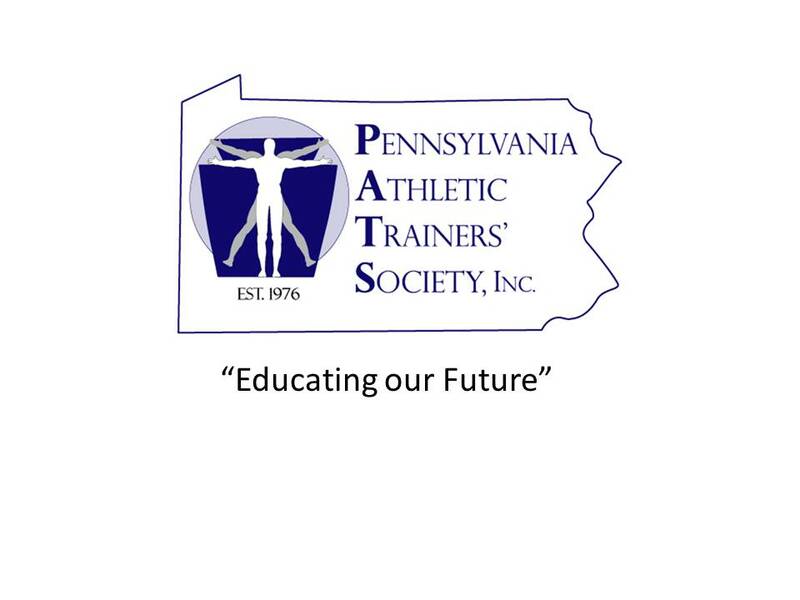 In 2014, the Pennsylvania Department of Health (DOH) partnered with the Pennsylvania Athletic Trainers’ Society (PATS) to utilize a four-year Traumatic Brain Injury (TBI) grant awarded by the Health Resources and Services Administration (HRSA). Next PATS, in collaboration with the Sports Safety International (SSI) and the Pennsylvania Medical Society (PAMed), worked collaboratively to increase the current knowledge of the medical community, specifically primary care physicians, and emergency room physicians, about TBI and available TBI resources in Pennsylvania. The ConcussionWise program for doctors, titled ConcussionWise™ DR, is an education initiative to ensure that physicians across the Commonwealth are knowledgeable on the topic of TBI and are trained in current peer-reviewed research about the management of concussions. Continuing Medical Education (CMEs) units are provided to physicians who take the course as well as a “Recognition Database” that is searchable to the public in order to find a local physician trained in the most up-to-date training in the evaluation and management concussions. The clinical content of the ConcussionWise™ DR has been peer-reviewed and approved by the Pennsylvania Academy of Family Physicians, Pennsylvania Chapter of American Academy of Pediatrics, Pennsylvania College of Emergency Physicians, Pennsylvania Neurological Society, Pennsylvania Orthopaedic Society, and the Pennsylvania Psychiatric Society. 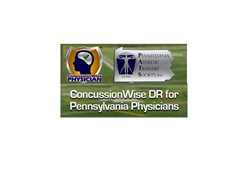 All of the ConcussionWise Pennsylvania online programs can be found at http://www.concussionwise.com/pennsylvania. Additionally, PATS has developed a helpful “Concussion Resource Center” on its webpage to assist individuals looking for information and resources about concussions. For more information regarding this topic or to schedule an interview with PATS President Guy Sanchioli MS, LAT, ATC, PES, please contact Linda Mazzoli MS, LAT, ATC, PATS Executive Director at patsexecutivedirector(at)gopats.org.